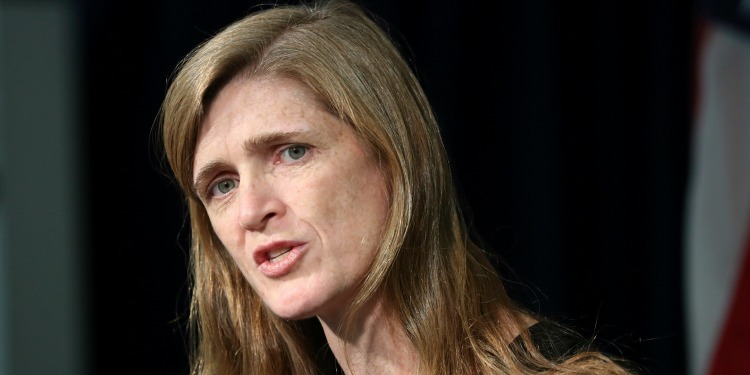 When Samantha Power demanded to know at a meeting of the Security Council yesterday whether Russia, Iran and the Syrian government were “incapable of shame,” America’s United Nations ambassador crystallized the horror of the world about the siege of Aleppo, in which the Assad regime and its foreign allies are committing unspeakable atrocities against civilians. But her question could be just as easily posed to her boss, President Obama. If those carrying out the slaughter in Syria are unimpressed by her eloquence, it is because they know they would not be in a position to wipe out Aleppo were it not for Obama’s acquiescence to their actions. Power’s Pulitzer Prize winning book, A Problem From Hell: America and the Age of Genocide, outlined the “responsibility to protect” doctrine, or R2P, in which she put forward the idea that the world had an obligation to step in to prevent the kind of mass murder that was committed in the former Yugoslavia or Rwanda. The ascension of Power to high office was, in theory, an opportunity to put into practice the R2P principle that she had championed. But yesterday’s speech was a requiem for R2P. Obama and Power have not merely flopped on the world stage; the catastrophe of Libya and the subsequent refusal to act on Syria as the worst human rights disaster of the 21st century unfolded has completely discredited a doctrine that was never even implemented. Read more at Commentary Magazine.